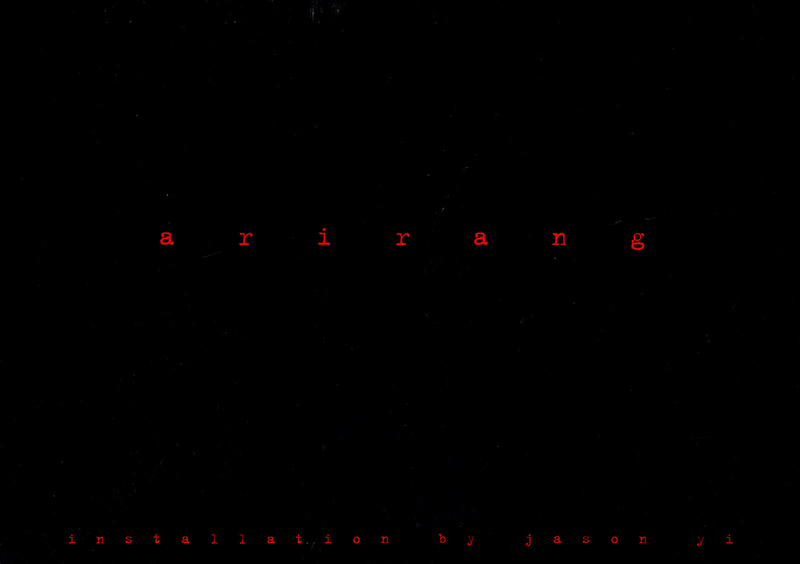 Exhibition postcard for "arirang: installation by jason yi" at Kiehle Gallery, St. Cloud State University, St. 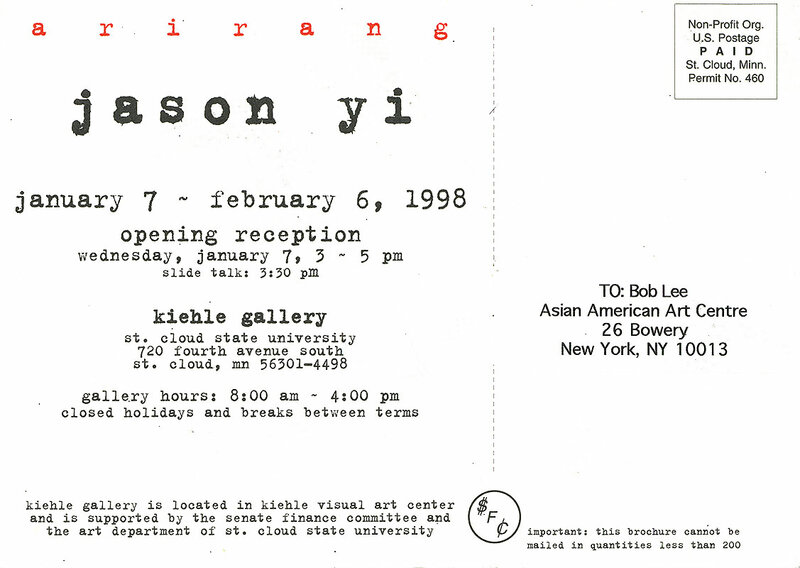 Cloud, MN, from Jan. 7-Feb. 6, 1998.
exhibitions (events); postcards; promotional materials; Yi, Jason S.